Mike Coombes is from Newport in South Wales. He has spent almost 20 years in bereavement counselling and has now put in writing his experience – good and bad – of supporting over a thousand people through their grief. 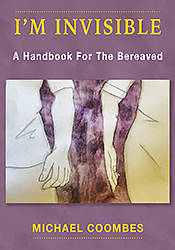 This Handbook covers all aspects of grief from initial loss to the hoped-for adjustment to coping with a “new normal” way of living without a loved one. It looks at what people experience through the lens of them being “invisible” to many people who have not themselves experienced the intense pain and suffering that can accompany a bereavement. The hope is that anyone reading the book may find the one word, sentence, idea that gives them a little light in the dark tunnel of loss and makes them feel less “invisible”.